Vape pens, vaporizer pens, vapor pens, and pen-style vapes – there’s certainly no shortage of names for this classic vape device. Whatever you choose to call it, the vape pen is undoubtedly one of the most popular device choices for vapers everywhere, regardless of experience level or vape style. No matter what your vape preferences may be, odds are there’s a vape pen for you. 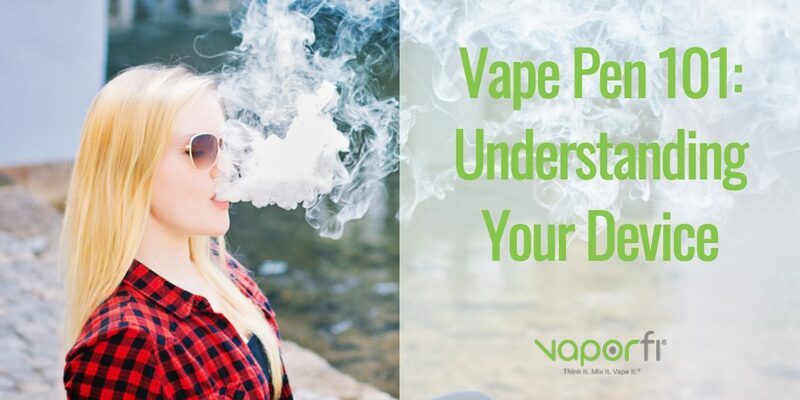 Here at VaporFi, some of the most common customer questions we are asked on a daily basis center around choosing a quality vape pen, using a vape pen, and understanding how one works. So, we’ve rounded up a handy guide that covers Vape Pen 101, giving you a crash course in everything you need to know about these widely-used devices. As you’ve probably already guessed based on the name, a vape pen is a pen-shaped vaporizer device. Compact and cylindrical, a pen-style vape is a highly portable device option that’s ideal for discreet, on-the-go vaping. The size of a vape pen may be as slim as a regular pen or as large as a cigar. Vape pens are considered their own category, separate from the larger, box-like vape mods and basic e-cigs. The overall design and features of a vape pen can vary widely from model to model, ranging from highly simplistic devices crafted for vaping beginners to the more advanced, high-performing options for vaping veterans. A vape pen is paired with your choice of e-juice, with the device’s heating element warming the liquid to the point of vaporization. At that point, the deliciously flavorful and fluffy vapor cloud is ready to be enjoyed by you, the vaper. Like any electronic device, a vape pen requires a battery to run. Vape pens are typically powered by lithium-ion batteries, with a variety of options available. When you’re browsing vape pens, you’ll usually see batteries assigned a numerical value labeled with the unit mAh. The abbreviation mAh is a scientific expression of the battery’s capacity, calculated by multiplying the battery’s average lifespan by its discharge current. Without diving too deep into the science of batteries, all you really need to know is that in most cases, the higher a battery’s capacity, the more powerful the device (and the longer its lifespan before recharging). The bigger the battery, the more vape time you’ll get out of it before needing to charge it up again. Depending on your vape style and frequency, your vape pen battery might last all day or it might need to be recharged once or twice. It’s never a bad idea to keep an extra battery on hand at all times, and you should always toss away damaged batteries for safety’s sake. Most vape pens use a tank to hold the e-liquid, though an increasing number of styles are now using refillable or disposable cartridges. Tanks can be constructed from glass, stainless steel, or polycarbonate plastic, and many feature an e-liquid viewing window so you can keep an eye on your juice levels. If you purchase your vape pen as part of a starter kit, you’ll likely receive a tank that’s designed to perfectly match the device (for example, the SMOK Stick V8 is paired with the complementary TFV8 Big Baby Beast Tank in a popular starter kit offered by VaporFi). Keep in mind that you can’t pair any tank with any vape pen, so it’s key to pay attention to compatibility if you’re shopping for parts separately. The atomizer is the vape pen’s heating element, used to heat the e-liquid to the point of vaporization. Designed in a variety of coil structures, your vape’s heating element is key to the overall vape experience. Different coil materials and constructions can produce varying results, with particular styles crafted to maximize cloud production or intensify vapor flavor. While some advanced vapers take a DIY route for coil-building, that process is usually reserved for larger vape mods, not vape pens. When you’re checking the atomizer specs on a vape pen, you’ll often see a reference to the “resistance level.” This number, labeled with a unit called ohms, refers to a scientific relationship between the heat produced by the atomizer coil and the battery voltage. If you’ve ever heard vapers talking about sub ohm vaping, they’re referring to the experience provided by vaping with an atomizer that has a resistance level lower than 1. Buttons, Sensors, and/or Lights: Many vape pens are draw-activated, meaning they automatically turn on when you inhale. Others use button-activated operation to power on the device or adjust settings. You may also see a battery life indicator on your vape pen (depending on the model), which is usually displayed via a small LED light. Mouthpiece: The mouthpiece is where you inhale the vapor created by your device. Some devices offer variations of mouthpieces in different materials or colors to suit your personal style. Charger: Every vape pen comes with a charger, whether it’s a USB, car, or wall charger. Just like a phone charger, your vape charger plugs into the device and then into a power source to recharge the battery. The first thing you’ll need to do before using your vape pen is to make sure it’s charged. Open up the box and plug it into the charger as soon as possible, and you’ll be ready to start vaping in no time. If your pen has a tank, you’ll need to open it up and fill it with vape juice. Most tanks have a fill limit line, so be careful not to overfill it – you don’t want to spill excess liquid everywhere. Some vape pens use juice cartridges, which are simple to click right onto the device. If you’re using this device style, you might have pre-filled cartridges, or you might need to fill it with e-liquid yourself. Then, assemble your vape pen. It’s usually a straightforward process, involving screwing together the battery, tank, and mouthpiece. Now, you’re ready to get started! If you have a button-activated vape pen, you’ll need to push the button to power it on. Depending on your specific model, you may need to press the button in a certain sequence to turn it on (many pens use this safety feature to avoid accidental firing). If there’s no button on your vape pen, it’s likely draw-activated. In this case, you’ll place your mouth on the mouthpiece and take a gentle, steady breath to turn it on. When in doubt, one of the most important things you can do is refer to your device instructions. Take a few minutes to review the manual to ensure safe vaping and optimal results. Another reason so many vapers use vape pens as their device of choice is that they are extremely easy to clean and maintain. Developing good habits when it comes to the care of your device can not only extend the life of your vape pen but also ensure an excellent vape experience every time. You can usually purchase basic cleaning supplies for minimal cost, with some retailers offering a full bundle of all the basics. Useful cleaning supplies include small brushes, alcohol wipes, cleaning solution or powder, and more. Whichever supplies you find helpful, the key is simply to regularly and consistently clean your vaporizer. We recommend giving your vape pen a quick wipe-down before using it for the first time. Then, do a thorough cleaning every few vape sessions to keep it in perfect working order. Disassemble your vape pen, including detaching the mouthpiece and separating the tank from the battery. Use a cotton swab to gently scrub the inside layer and rim of the mouthpiece, using rubbing alcohol for tough stains and grime. Also, clean any air intake or output holes. Clean the heating chamber with a small dab tool, removing any residue. Be extremely careful near the coil, which is one of the vape pen’s most delicate parts. Don’t apply excess pressure on or near the coil. Carefully wipe down the exterior of your device. Allow all components to dry out completely before reassembling. Because vape pens are lightweight and compact, they are easy to travel with. Slip your vape pen in your pocket or purse for on-the-go vaping without ever being weighed down by a bulky device. Vape pens are known for being fuss-free, providing a satisfying vape without requiring you to tinker with endless settings. Some vapers enjoy making precise adjustments and manipulating their vape settings, while others simply want to enjoy a relaxing vape session without any hassle – for the vapers who prefer easy vaping, vape pens are the way to go. In fact, even advanced vapers who love experimenting with complex mods typically own at least one solid vape pen, giving them a backup option for when they’re craving a simple vape session. Vape pens are often very affordable, offering a high-quality experience without requiring an expensive investment. This is a major plus for new vapers or those shopping on a tight budget. If you’re considering vaping as an option to kick your old smoking habit, you’re in good company: a large percentage of new vapers are former smokers. For people interested in switching to vaping from smoking, vape pens are an excellent option. They provide a slightly more elevated experience that an entry-level e-cig, but don’t overcomplicate the process like some advanced mods might. Don’t be afraid to experiment with different vape pen styles before choosing your long-term device. 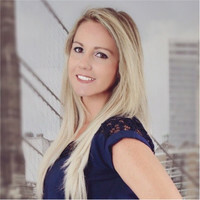 There are so many features, models, and brands to consider before making a final decision. If you aren’t satisfied by the first vape pen you try, switch things up with a different brand. Understand that vaping uses a different technique than smoking. Instead of hard, quick puffs, use gentle, smooth inhalations to get the best vapor clouds possible. Stick with high-quality products for a truly enjoyable experience. Transitioning away from cigarettes isn’t an easy task, but the process can be far simpler to conquer when you have vaping as a viable alternative. Make a small investment in a well-made device and excellent e-liquids and you’ll be leaving smoking behind in no time at all. You might consider starting out with dual use, meaning you start vaping while still using a few old-school cigarettes a day. Slowly transition yourself completely away from cigarettes, using your vape to support the process. Ask questions to learn about vaping, product options, and more. Whether you’re chatting with the VaporFi customer support team or your vaping friends and family, there’s a lot you can learn simply by asking. Buying your first vape pen is an exciting shopping experience, but it can be easy to get overwhelmed by the sheer number of options out there. Having choices is a good thing, especially when it means there’s truly a vape pen option for everyone. However, knowing where to start can be tough when you’re faced with dozens of vape pen styles. Decide which features are your highest priority, so you can narrow down your options based on which suit your needs. Stick with a reputable retailer like VaporFi, so you don’t get tricked into buying a knockoff product. Take the time to read customer reviews to gain helpful insight into the pros and cons of each device you’re considering. Check out vape forums and talk to fellow vapers to get their input and suggestions. Check the return policy to make sure you won’t get stuck with a vape you don’t like (VaporFi has a 30-day money-back guarantee so you can shop risk-free!). Once you’ve found the right vape pen, the next choice you’ll have to make is vape juice. Understanding how to pick the right e-juice can make a huge difference in your overall experience, so make sure you aren’t just choosing liquids at random. If you’re working with a vape pen that uses pre-filled cartridges, you’ll be shopping for those instead of e-liquid bottles, so be aware of your set-up. First, you’ll want to choose your flavor. This is arguably one of the most fun parts of vape shopping, especially because there’s no end to the creative, tasty flavor options out there. You can create a custom blend or choose from flavor families like menthol, tobacco, dessert, fruit, and more. Determine your nicotine strength. If you’re a former heavy smoker, you may want to start with 18 mg or higher; average smokers are usually satisfied with 12 mg, and light smokers often prefer 12 mg or less. There are also nicotine-free options if you prefer. Consider PG/VG ratio. Generally, 50/50 and 70/30 are the most popularly recommended ratios, but it ultimately is a matter of preference. Many vape pens feature built-in safety features to guard against user error or malfunction (e.g. short-circuiting, low voltage, etc. ), which is a benefit particularly useful for beginners. However, it’s also up to you to be a responsible vaper. Never use damaged batteries and keep extra batteries in a protective case. Don’t leave your vape pen plugged in overnight, because this can cause overcharging. Make sure you always read all health and safety recommendations that are included with your device, especially when you purchase a new vape. Whether you’re a newbie vaper or longtime vape pro, the quality of your vape experience comes down to one very important factor: your vape set-up. Instead of wasting time and money on low-quality, cheaply-made vape pens, browse the wide selection of brand-name vapes right here at VaporFi. We handpick the best vape pens on the market, working closely with brands you know and love to bring you the latest innovations in vape technology. From budget-friendly pens that are ideal for vaping for beginners to high-end devices that come with an array of features, you’ll find a huge range of options to choose from. Once you find your perfect vape pen from VaporFi, you can stock up on all your other vape essentials, like vape juice and accessories. With everyday free shipping, low prices, and customer benefits and loyalty rewards, shopping at VaporFi is a smart way to make the most of your vape budget. Plus, helpful customer resources like our vape product guide make it easy to choose the right products to suit your personal vape preferences and style. Check out our selection of premium vape pens and find your perfect vape match today! Get your Vape and Get Ready for the Long Weekend!